Paulus Swaen has a fine collection of charts and sea-atlases, of which, we present here a few samples. Please contact us should you have any specific wants. Before the development of printing, there was an active chart making industry based around the Mediterranean in places like Genoa, Venice and Majorca. From such centers manuscript 'rutters' and 'portolans' were produced for the Mediterranean and Southern European Atlantic coasts. Throughout the sixteenth century the manuscript portolan, in single sheet or atlas form, was the only relatively accurate source of navigating information. By 1584 an experienced seaman and pilot, Lucas Jansszoon Waghenaer, had published his compilation of charts, "Spieghel der Zeevaerdt". During the first half of the seventeenth century Amsterdam saw the production of many printed charts and chart books, most of which are now very rare. The Blaeu's, Gerritz, Barents, Colom, Lootsman, Doncker, van Loon, Robijn, Roggeveen, Goos, and de Wit are renown for their output. 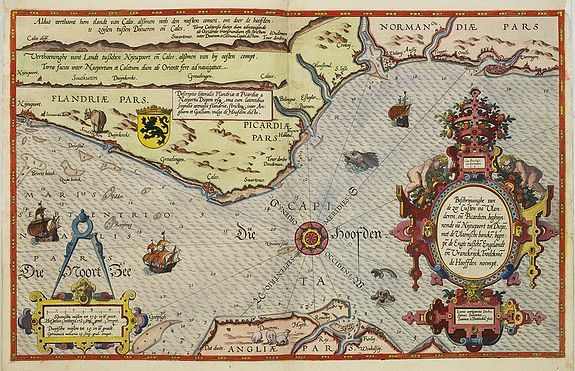 Another important firm of chart producers was the Van Keulen family who published charts - both manuscript and printed - and atlases from about 1680 for over one hundred years. Their dominance in the Dutch trade was confirmed by the appointment, in 1714, of Gerard van Keulen as hydrographer to the V.O.C.. The 18th century navigators relied on nautical charts produced by a handful of chartmakers and instrument sellers who worked in Paris, Madrid and the City of London. These privately produced charts, or "bluebacks" as they were known from the tough blue manila paper on which they were mounted, were in circulation amongst the merchant fleets of the world until the Second World War. If not blue backed, charts were often printed on thick paper, or thin paper laid onto thick in order to prolong their working life. Under Louis XIV French interest in the sciences incorporated a reappraisal of all cartographic techniques. It was here that the first central organisation for chart provision was founded in 1720; the Dépôt Général de la Marine, followed by Denmark in 1784. The Spanish established the Direccion de Hidrografica in 1800, and the American U.S. Coast Survey followed in 1811. Already in 1670 the first french hydrographic missions where made in along French, Spanish and Italian coasts. 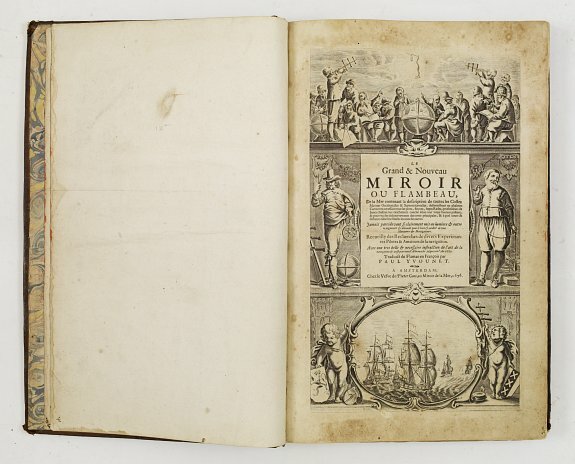 The first publication was named "Neptune François', (French Atlas), and was published in 1693. D' Après de Mannevillette (1707-1780) was a famous French sailor and hydrographer. During a voyage to China in 1728, he succeeded in correcting the latitudes of many places using new instruments. Back in France he devised a plan to correct and publish all the existing maps of the route to China: the Red Sea, the coasts of India, Malaya, the northern parts of Indonesia, Indochina and China. 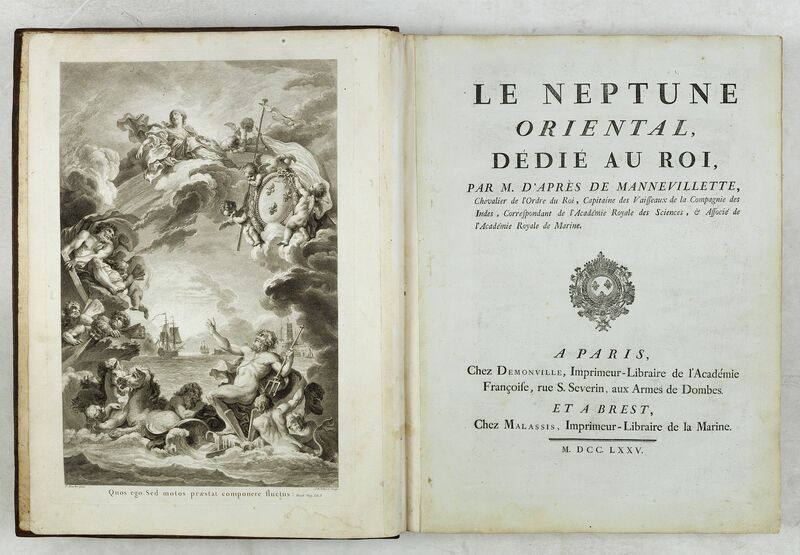 When the first edition of his Atlas Le Neptune Oriental (containing only 22 charts) was published in 1745, it was regarded as a major achievement and a library indispensable to navigators. In 1672, d'Après was appointed director of an office established by the Compagnie des Indes for the publication of charts. In 1676, september 22nd, Colbert decided to organise, in place des victoires, Paris, the first French cartographic Navy Archives. It was not before 1720 that the French Navy Council asked to de Luynes to collect all navy documents and organise the "Dépôt Général des Cartes et Plans". In 1795, George III appointed Alexander Dalrymple as the first Hydrographer to the Admirality. Dalrymple was tasked with organising the manufacture of new charts and the distribution of the Navy's existing stock of charts and pilots.The first charts were produced in 1800, and Dalrymple recommended setting up what would become the chart committee in 1800. Dalrymple's successors, Captain Thomas Hurd and William Parry continued plans to complete a world sea survey and by 1821 there was sufficient charts to warrent the first catalogue of Admirality charts. In 1829, Sir Francis Beafort, who developed the Beaufort Scale of wind strength, took over the Hydrographic Office and initiated a period of prodigious activity : He sent surveyors all over the globe - William Fitzwilliam Owen to Africa, Robert Fitzroy to South America and Sir Edward Belcher to China. By the end of Beaufort's tenure, in 1855, the hydrographic office had produced 1,437 charts in 113 surveys worldwide : an average of one a week. Beaufort also introduced standardised notation for charts and most of the charts produced by the Hydrographic Office delineated coastline as well as high and low water marks, and depth of water as established by soundings. In addition, these charts included information on shoals, reefs, and other navigational needs. Samples of sea charts currently in stock.